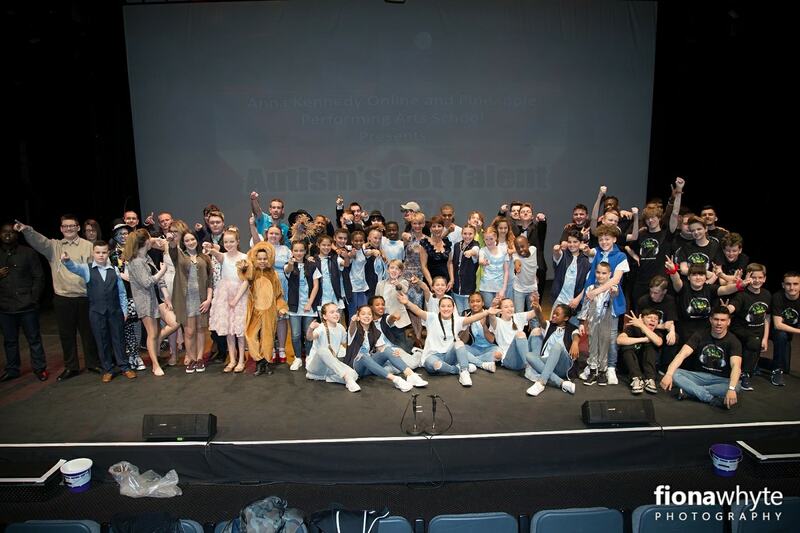 Anna Kennedy Online is proud to announce Autism’s Got Talent 2019 which celebrates and recognise the excellence taking place in the world of Autism. The charity would like to offer you an opportunity to be our corporate sponsor for this unique project. The cost of this will be from £500 and in return we would offer many sponsorship benefits, such as your logo and website on our website and in our program. Social media promotion to a network of over 100,000 people and outreach of over 500,000 along with full press promotion and inclusion in all press opportunities. We would also offer two complimentary tickets to attend as a gesture of goodwill. There will be excellent networking opportunities alongside positive brand promotion and association by collaborating with us including PR and press coverage of the awards at each stage of the process. Please click here to register your interest on this fabulous opportunity. Autism’s Got Talent provides a platform and great opportunity to replace negative aspects with hope, fun, laughter, and inclusion. This showcase is unique to any other projects across the world. Most of the acts have spring boarded into exclusive opportunities and the audience feel a rare emotion of hope and belonging and part of a unique network and understanding that anything is possible. This year promises a showcase of a huge variety of performers. In previous years there has been a stand-up performer, harpist, rappers, young author, acclaimed ballet dancer, opera singers as well as a bone breaker, who is now the face of Calvin Klein. Talent entries are totally mind blowing and Anna Kennedy Online have included acts from overseas Sweden, Croatia, US, Canada and across the UK. With more than 500,000 people diagnosed with autism in the UK it is easy to simply label these people. The fact is that autism is an often-misunderstood disorder and while it can be difficult for those affected to express themselves they are often highly intelligent and able people who can achieve extraordinary things, but often in their own way. Recognising the uniqueness of those with autism Anna Kennedy, who has two sons with the condition, has worked tirelessly to find ways of recognising the ability not the disability in these individuals. The Autism’s Got Talent event is one of the ways of recognising that ability and will showcase the performing talents of a whole host of talent. This whole project is based solely on inclusion and there needs to be more, which is why we have started roadshows and set to go to Cornwall in 2019. Unlike other talent shows the evening will have many surprises and delights as children and adults showcase and perform before a live audience. This star studded spectacular event will showcase amazingly talented performances by adults and children with autism. The performers, which will consist of singers, actors, musicians, and dance troupes, will fly the flag for autism and show what people with autism and Aspergers syndrome are capable of. Autism’s Got Talent, which is an annual event, is growing in popularity each year, and 2019 has firmly cemented its status as a leading charity and autism event. Highlights can be viewed on the following YouTube clips.